No major sport is as uniquely American as basketball. The sport has come a long way since students at a Massachusetts YMCA started throwing balls into peach baskets nailed to the wall. Today, some of the world's most spectacular athletes soar through the air in feats of athleticism on the basketball court. With the advent of the shot clock and the three pointer, the game became more exciting over the years. The NCAA Men's Basketball Tournament is one of the most popular sporting events in the United States, and the NCAA superstars go on to thrill NBA audiences as professionals. Kids play basketball across the country, from urban playgrounds in New York and L.A. to the gyms of Chicago and dusty farmland courts in Indiana. All that is needed is a ball, a hoop, and a dream. Each book in the Inside the World of Sports series takes you from the very beginning of a sport to a look at its future. 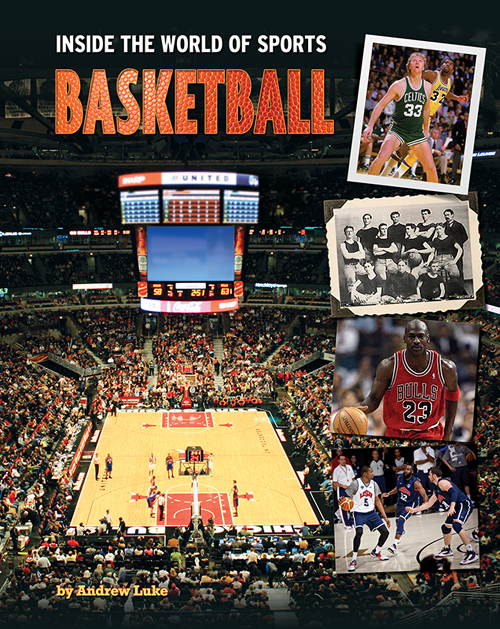 Inside these pages, learn more about basketball's greatest moments, iconic athletes, and what the future holds for the game.